I am no Bear Grylls, lets get that clear straight right away. I love the outdoors, the bracing wind, getting down and dirty with nature and all that it can throw at us. Which in the UK is mostly rain! I'm not though, like many, into the extreme lifestyle of living in The Amazon or another unforgiving corner of the globe, surviving on next to nothing. Although if a visit to the Amazon was offered I'd certainly take it. Autumn is that wonderful season where we can head out and explore the local area knowing that we can also go back home to a warm bed and a nice cup of pumpkin soup or a cinnamon flavoured hot chocolate. So it's goodbye September and hello to October. Autumn has finally blown the summer excesses away and is now well and truly in full swing, well it certainly is in the UK. Although the ocassional warm day rears its head, the change is for all to see. The trees are starting to undergo their annual colour show, Halloween decorations and, whisper it, Christmas goods are on the shelves. 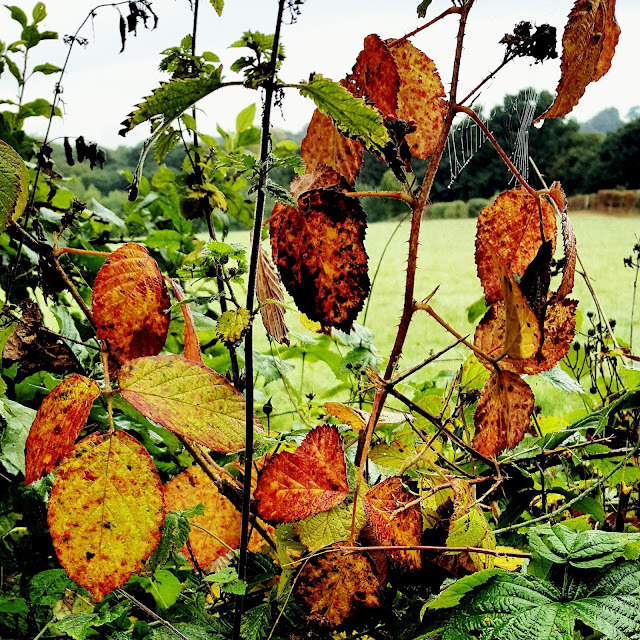 Autumn is such a great season to explore the countryside and try out things that will add fun and joy to a weekend. So why not try a bit of Den-building? Head to any woodland area and I'm sure you'll see an array of dens, large and small. Old fallen branches propped up on the sides of trees. You might go over and have a quick peek, impressed with whoever had built it. The fact is that they are great fun to build. So why not give it a go yourself. Take the kids out or go with your friends, head to your nearest wood or forest, find a good tree as your base, look for a bundle of fallen branches and away you go. Stack them to create a tipi style hut, gather up some smaller branches to compliment the larger ones being used as the main structure. Before you know it you'll have a den of your own in no time at all. Then you can sit in it and admire your handy work. From researching some experts suggest to keep them small. I'd say it's really down to the space you have and the amount of time on your hands. Most of all though, have fun! Because it is fun. Den-building was exactly what we did last weekend with M & K. Firstly up at Ashridge Estate in Hertfordshire (a mecca for dens), and then the following day in our local wood. 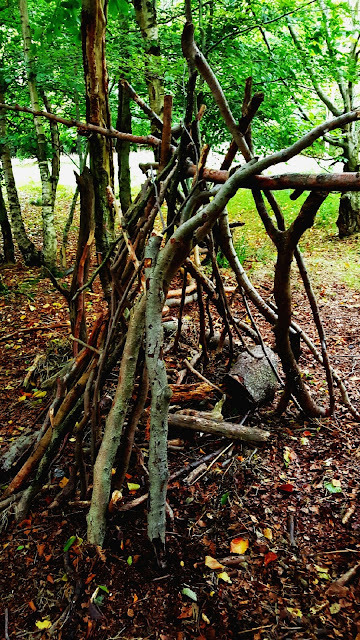 Both places had a number of dens already built, some large and some small. We had great fun building ours, finding the branches, constructing it and running around the woods. We created our own little place that will hopefully still be there when we next return. So why build a den? Here's some reasons why it should be a top Autumn activity, whatever your age. * Den-building, according to research suggests that it is particularly important for children's healthy development. It allows them to express their independence and sense of self. * Den-building teaches people about the natural environment, problem solving, team work, creativity and leadership. So it doesn't matter what age you are, den-building is for everyone. 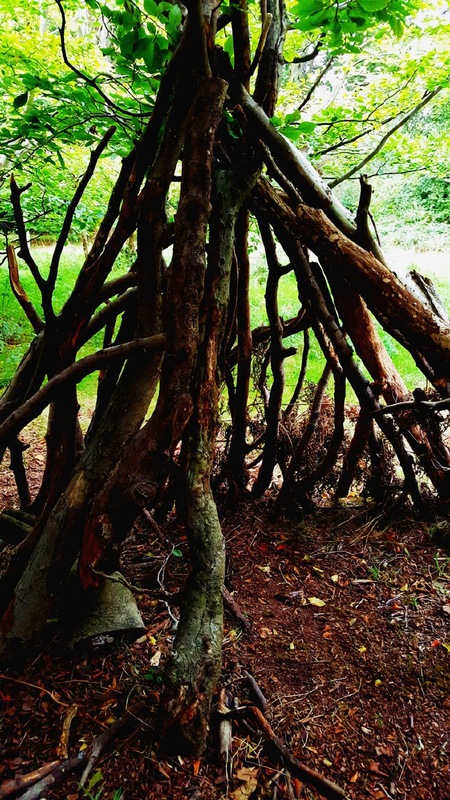 So if you ever needed an excuse to be a kid again, then surely building a den is the perfect one. It's a free activity and gets you outdoors. Go with a few friends and why not take a picnic? Take your work mates out for a bit of bonding? You could even sleep in it, if you're allowed (best to check with the place where you're building it!) Autumn should be about enjoying those final few days before the hard winter sets in. 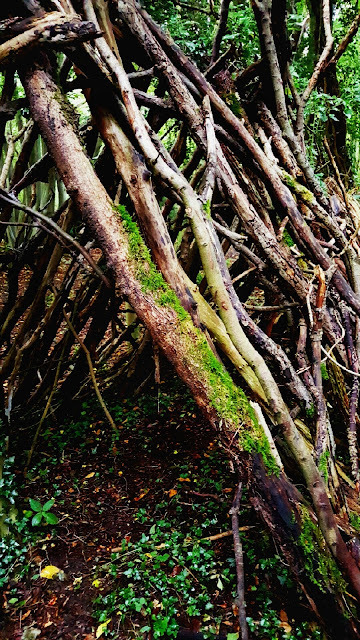 Den-building gives you that opportunity to enhance a walk or try something new.